The Möbius strip is one of the most enigmatic principles of mathematics. A simple loop of paper transforms in unexpected ways. This topological quandary has not only inspired mathematicians; countless inventions use this principle and artists have painted, sculpted and written stories about the Möbius strip. The art of magic has extensively used this topological principle to create the illusion of magic. The Afghan Bands were a favourite magic trick in the first half of the last century. Famous magicians such as Harry Blackstone and Nelson Downs regularly performed it in the stage act. 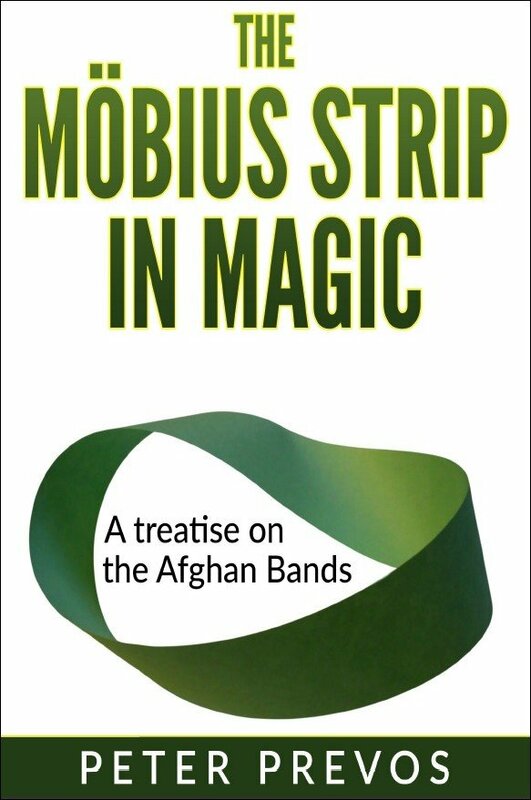 The history of the Afghan Bands is a fascinating story about how magicians innovate magic tricks over the years. This history is also a tale of accusations of plagiarism over the many improvements made to this trick over the decades. This ebook also contains instructions on how to create the various versions of Afghan Bands, including a version that uses zipper and instructions how to use this prop deceptively. The Afghan Bands are a minor mystery that deserves renewed attention. This ebook provides extensive theoretical, historical and practical information about this trick to inspire magicians to add it to their repertoire. 1st edition 2018, 48 pages.